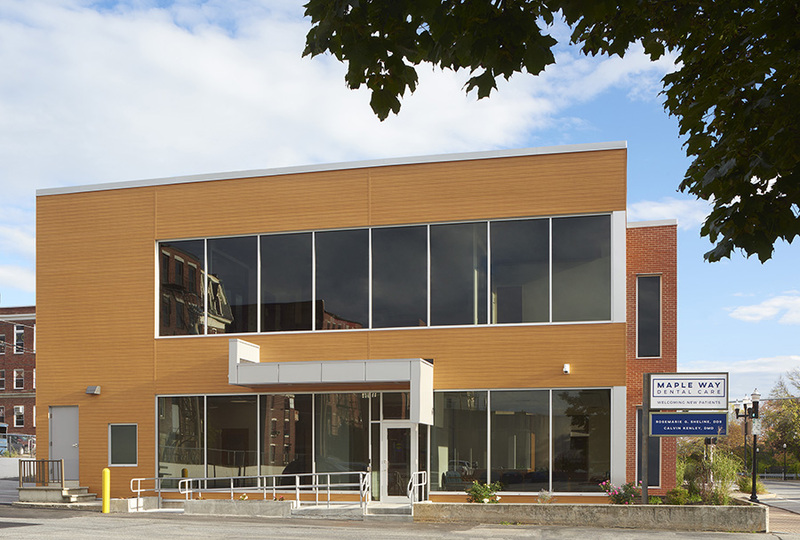 Center Street Dental is part of an ongoing renewal of the downtown urban core of Lewiston, Maine. 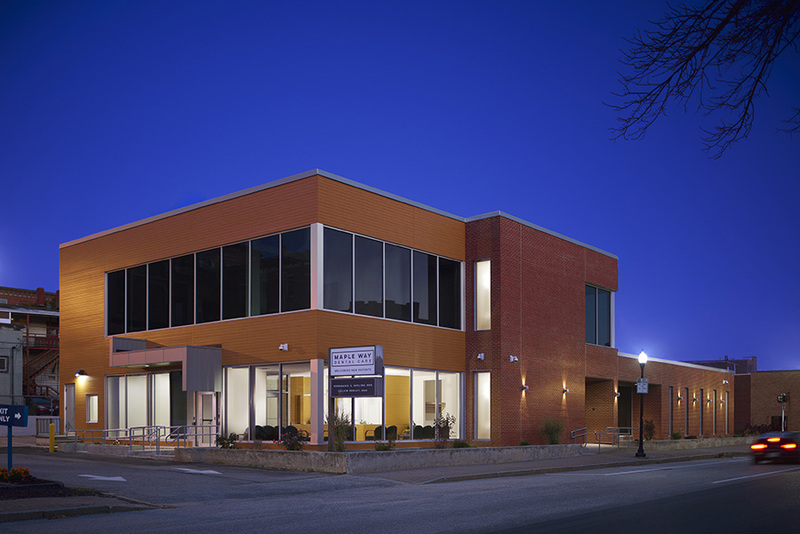 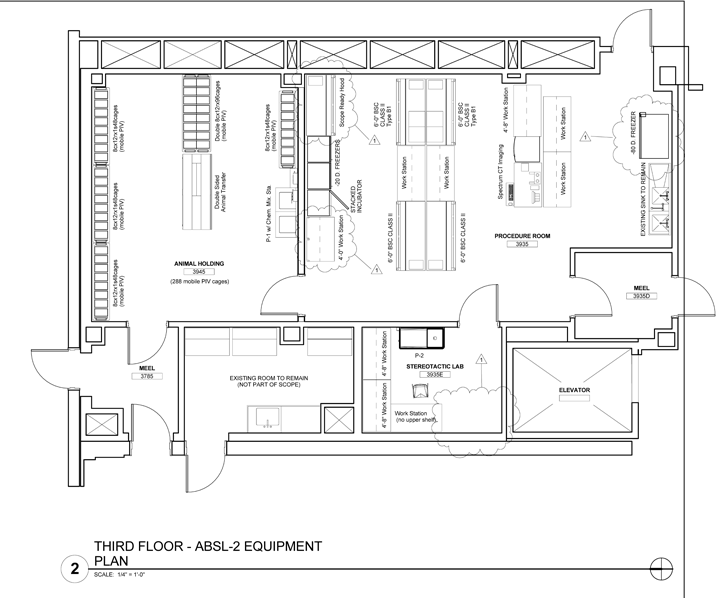 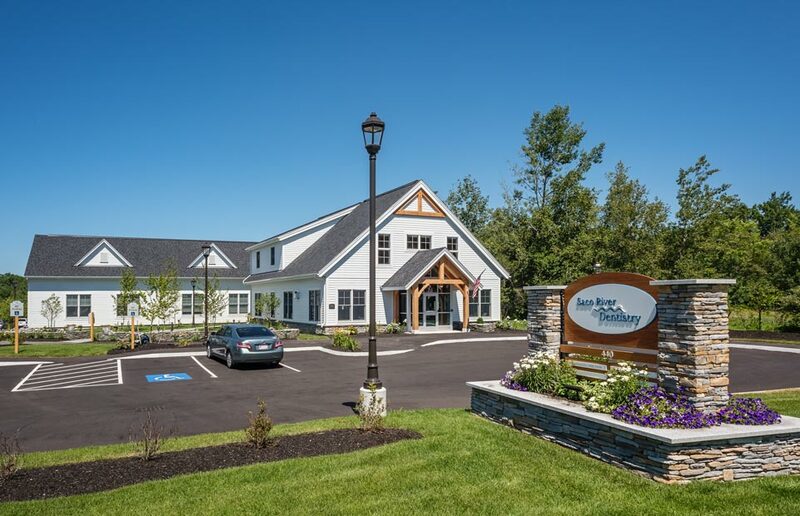 The project takes advantage of an existing building to house a new 6,000 square foot dental clinic with 16 treatment rooms. 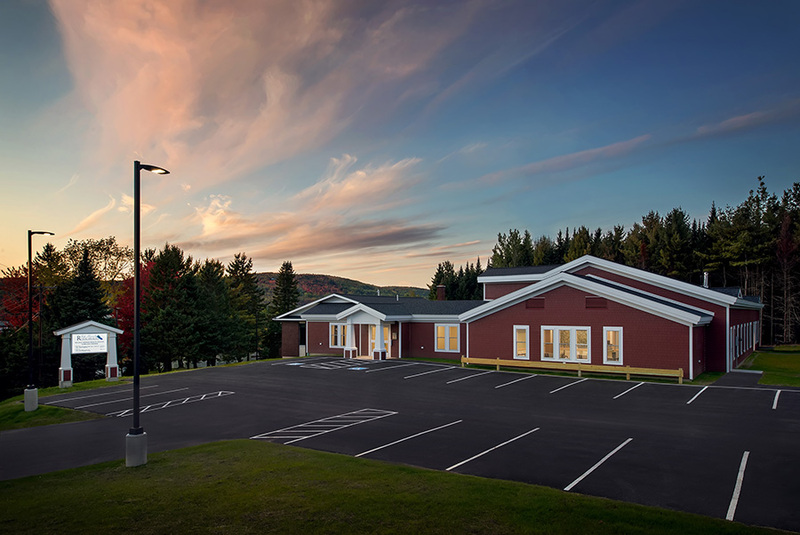 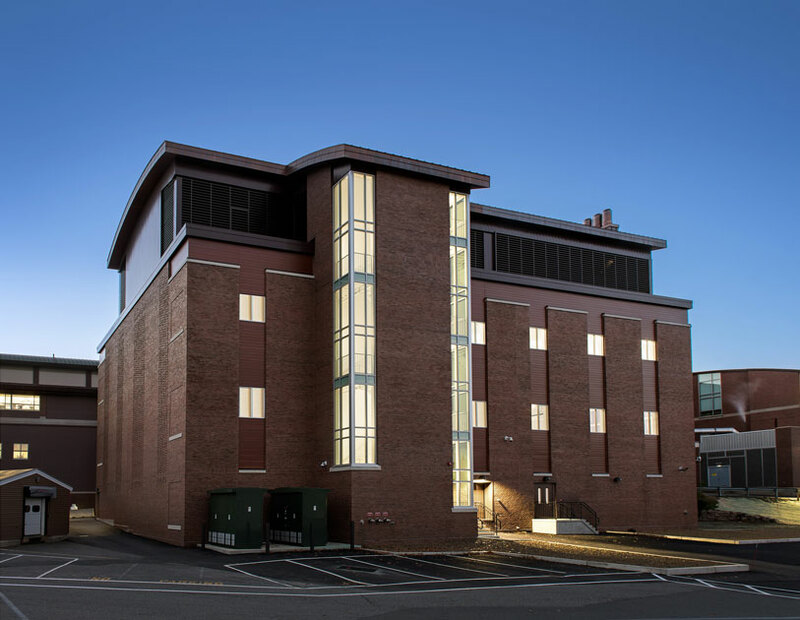 In addition to a complete renovation of the building interior; including all mechanical, electric and plumbing systems; the building exterior is also completely altered with a new brick and aluminum siding to replace the original 1960’s stone façade. 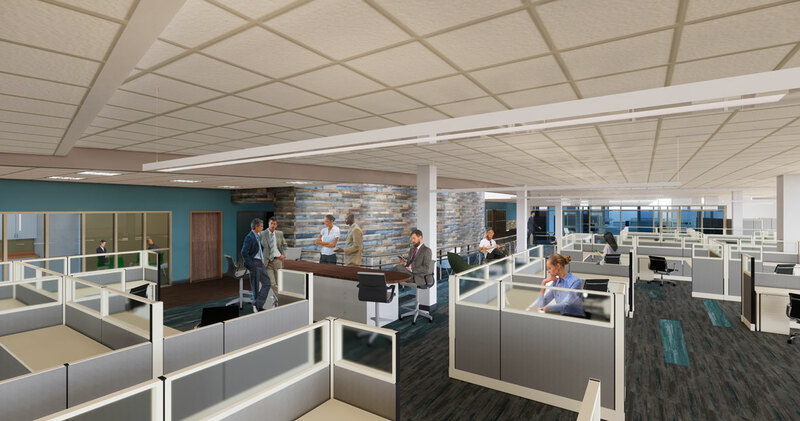 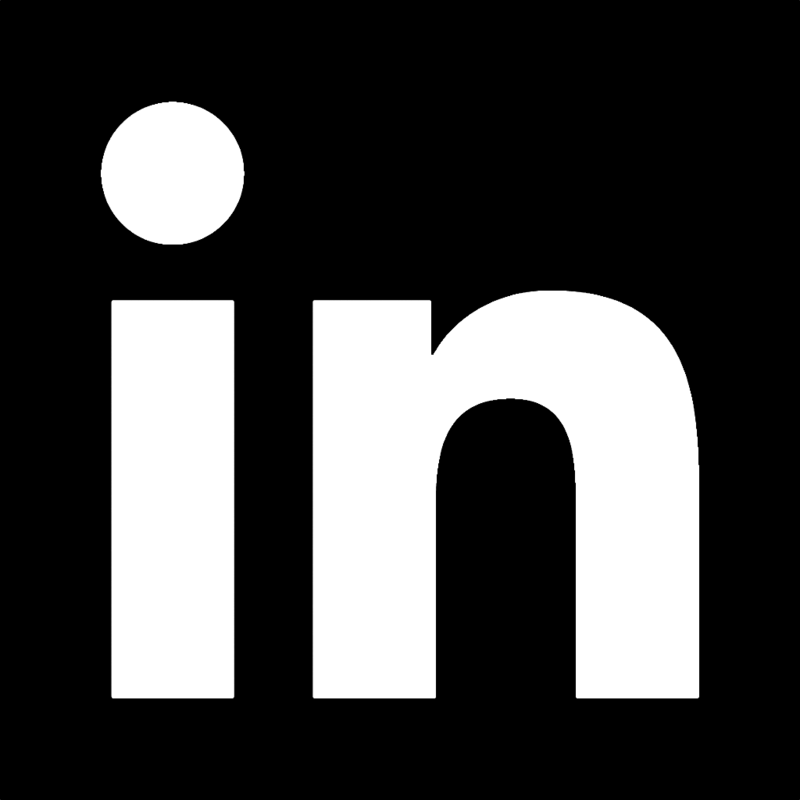 The project will be LEED certified upon completion. 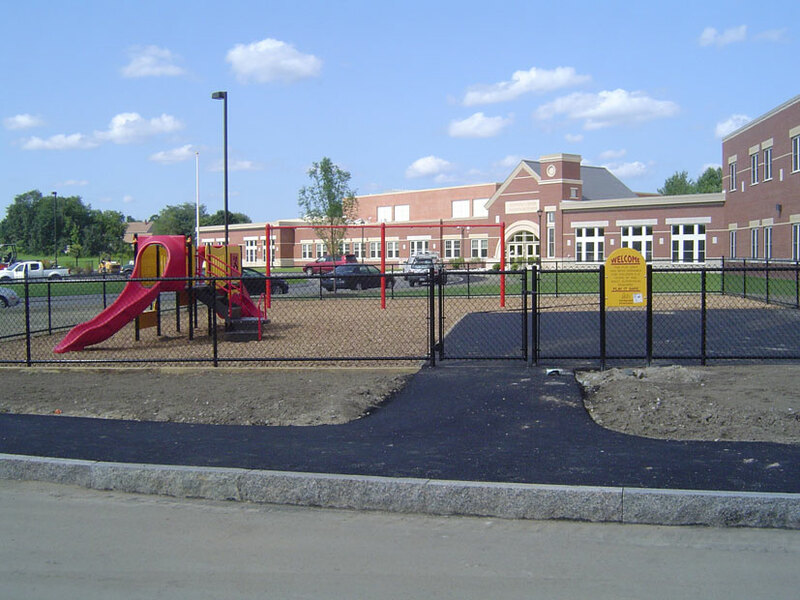 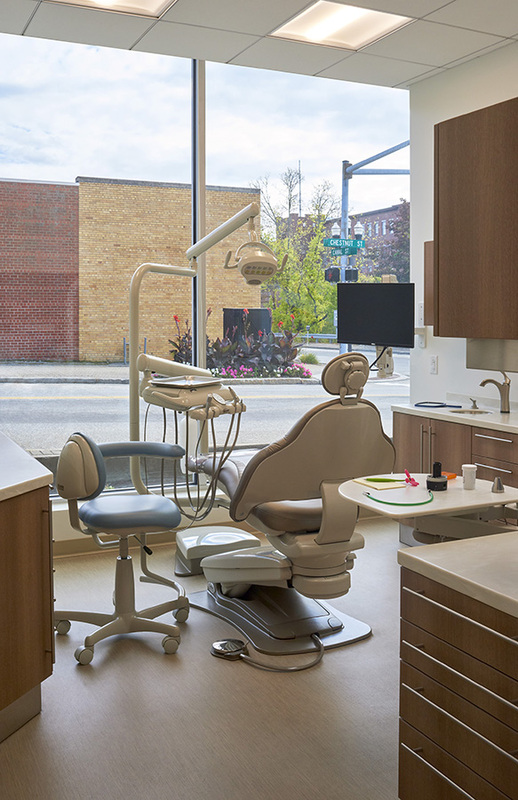 Harriman worked closely with dental equipment experts to take advantages of the latest equipment technology in order to maximize the client’s business practice as well as efficiently utilize the existing building footprint. 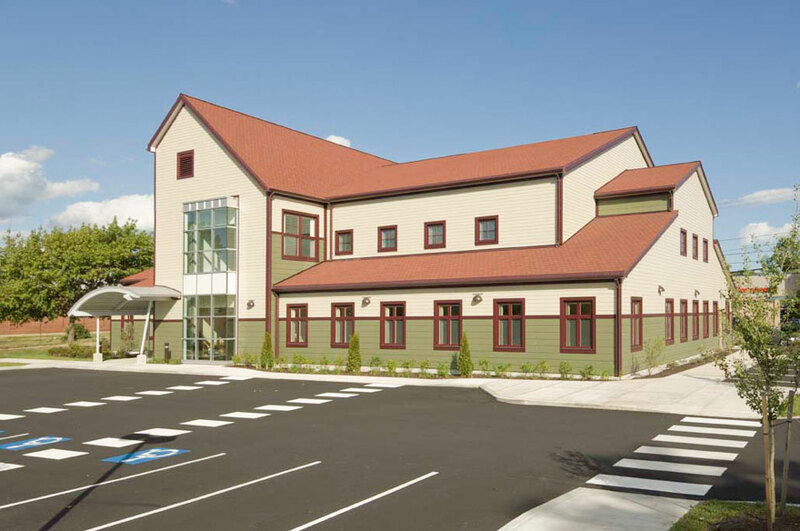 A relocated main entry allows clients to more readily enjoy the adjacent parking lot, while the building’s original entrance remains to create the flexibility of a multi-tenant building in the future. 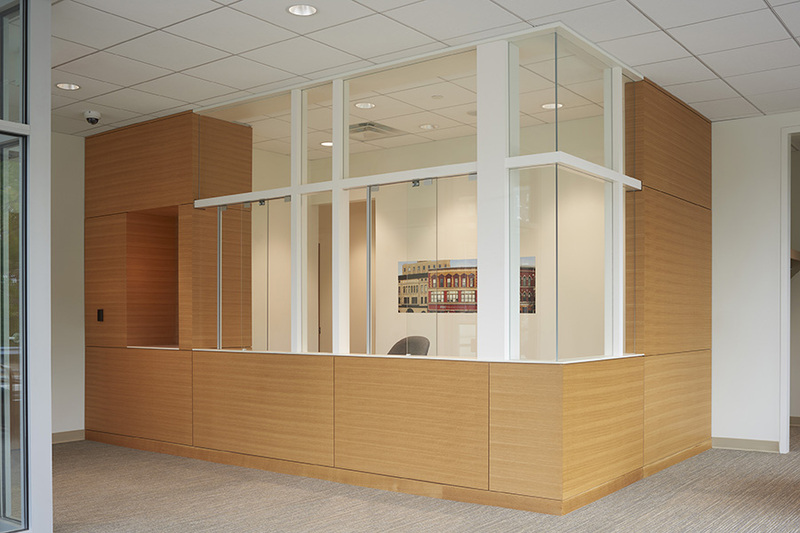 Waiting areas and consult rooms take advantage of the existing building’s daylight and views, while existing skylights are utilized to bring daylight to the clinic’s interior treatment rooms.